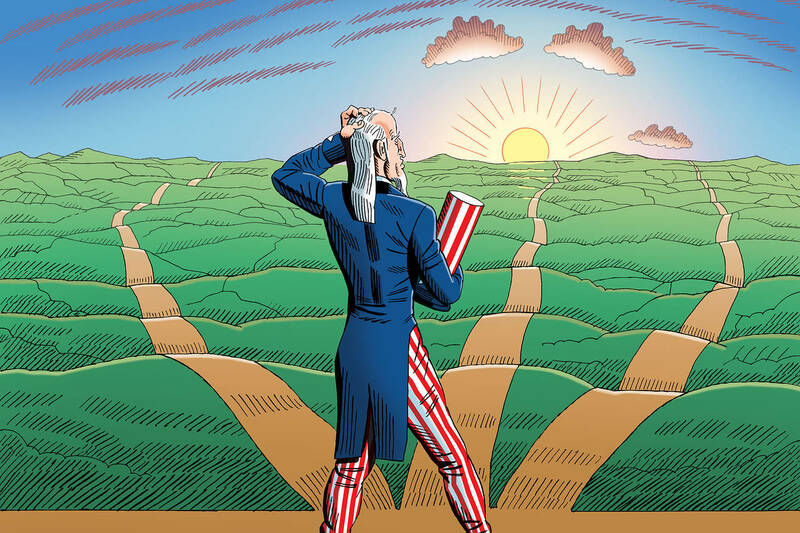 Choosing a Path in the World Ahead A strategic thinker considers three different futures for America. Presidential candidates have begun to nibble around the edges of the most important question of 2016, which is what approach we should take toward the world in the 21st century. This of course is not only an international-affairs question. Foreign-policy decisions bring domestic repercussions and effects. Sometimes they are dramatic and sometimes long-lasting. The political scientist and global risk strategist Ian Bremmer, a foreign-affairs columnist at Time, has written a book asking Americans themselves to decide what our policy should be, and offering what he sees as three central options. The world is in flux, its tectonic plates shifting: Old settlements and dispensations are falling away, new ones are having rough births. No one knows what comes next. No American consensus has emerged. President Obama himself has never chosen or declared a foreign-policy vision, which has made nothing better and some things worse. The worst choice now, says Mr. Bremmer, is to refuse to choose. We can’t just continue improvising—that has become dangerously confusing to our allies, our rivals and ourselves. So what way do we want to go? The third choice he calls “Indispensable America.” This involves a burly, all-in commitment to international leadership. It has practical and idealistic aspects; it is a long-term project but one consonant with our greatness as a nation. “America can never establish lasting security and prosperity in the interconnected modern world until we have helped others win their freedom.” We are called to “promote and protect” American values globally. “No one else will fill this breach.” We are the world’s only indispensable nation because only we have the means and will to stabilize international politics and the world economy. America is exceptional, and its work is not finished. “America must now think bigger and in more ambitious terms” than ever before. “We must build an entirely new foreign policy” based on the insight that in a globalized world “we can’t succeed unless others succeed too.” Get over ideas like peacetime and wartime: “We live in a world of permanent tension.” We can’t solve every problem, “but this does not excuse us from the responsibility to solve the ones we can.” As to cost, “the United States can pay its debts by simply printing more money.” At the end of the day the dollar will still be the world’s reserve currency—still the safest port in the world economic storm. As I read, I found myself wondering how a politician would react. I think he’d find it all both too abstract and too concrete. He would want one from column A (independence of action and a shown concern for the home front), one from column B (of course safety and prosperity are paramount) and one from column C (a known willingness to use unquestioned military power can be a handy thing in the world). Politicians hate to speak about their vision of America’s immediate place and role in the world for several reasons. They have risen in the ad hoc, provisional, moment-to-moment world of daily politics. That life teaches you long-term plans don’t have to be part of your long-term plan. In foreign policy especially, declaring a clear stand wins you committed enemies and tentative friends. Best to dummy up and speak in generalities. But at a certain point all the candidates for president, even Hillary Clinton, will have to give a sense of what’s in their heads. They hope to guide U.S. foreign policy for the next eight years. It isn’t asking too much that they speak about where we are and where we ought to be going. Mr. Bremmer gave his choice at the end of the book. It seemed to me surprising from one who appears to have thrived in the heart of the foreign-policy establishment. He felt the tug of each course but in the end came down for Independent America, and for interesting reasons. Candidates especially could get the book and find out what they are.